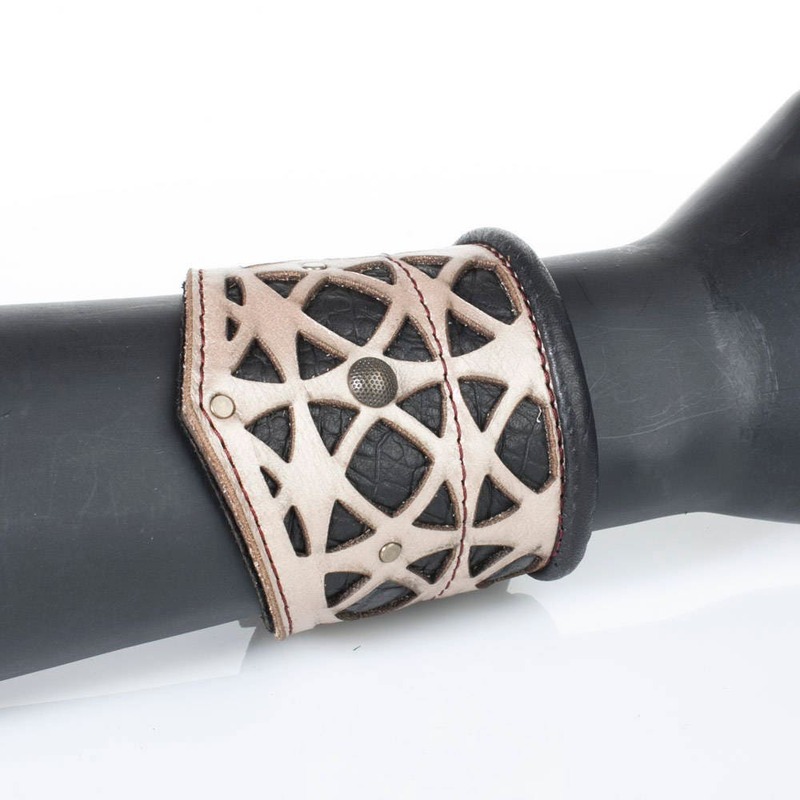 This multi layer Corvid Cuff is Navy Blue and a Champagne Pearl leather with a geometric filigree design, burgundy stitch detail, tarnished brass hardware, and strong leather cord. Lightweight and comfortable. 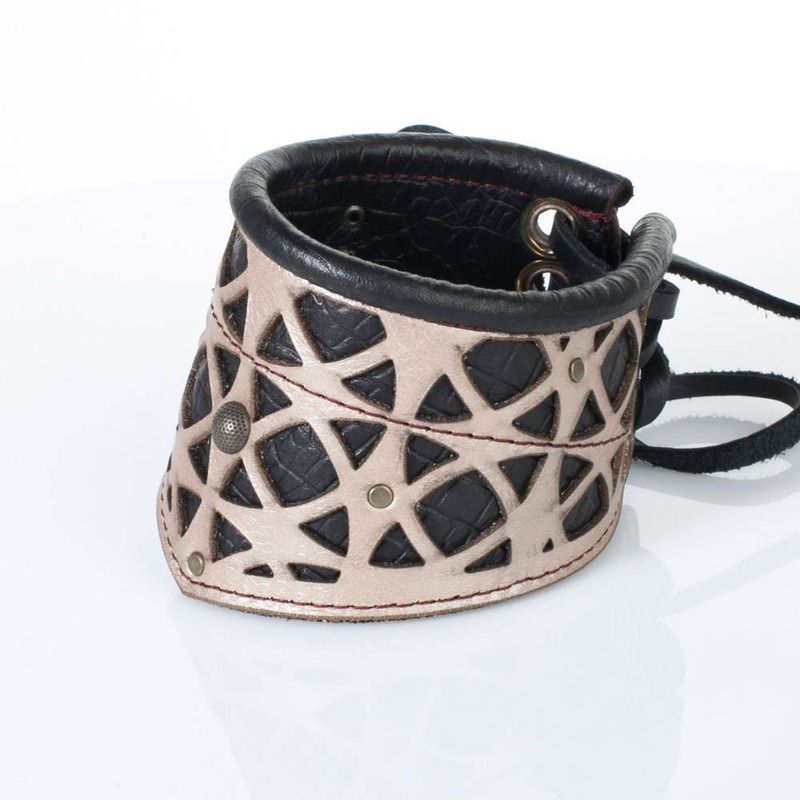 Lace up design allows for adjustable sizing. 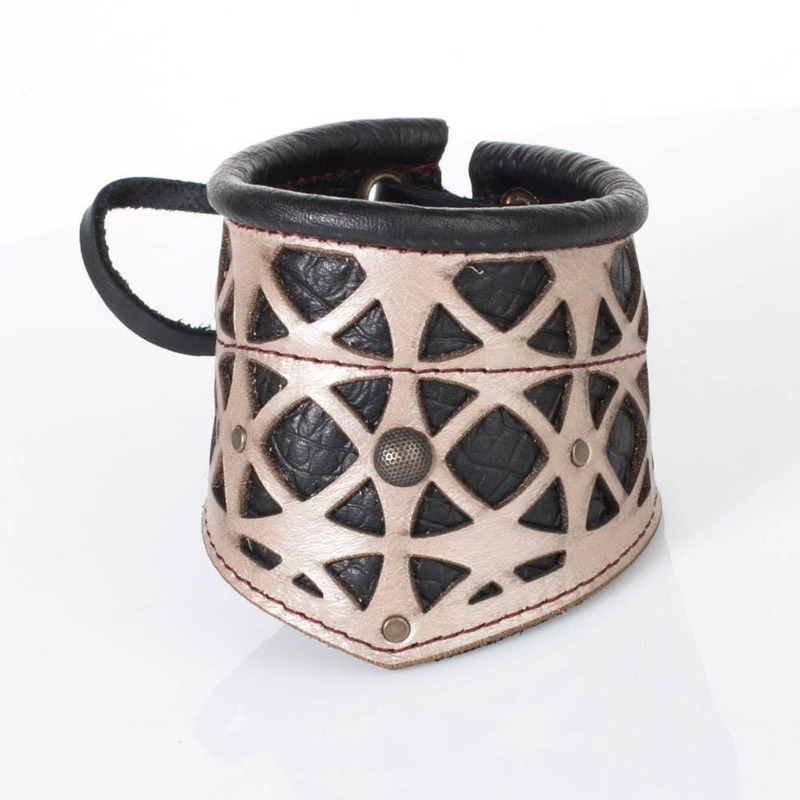 This cuff will fit a wrist measurement of 8.5"-11.5"